She’s the most important woman in your life. Why not do something special for her on the most important day of your life? 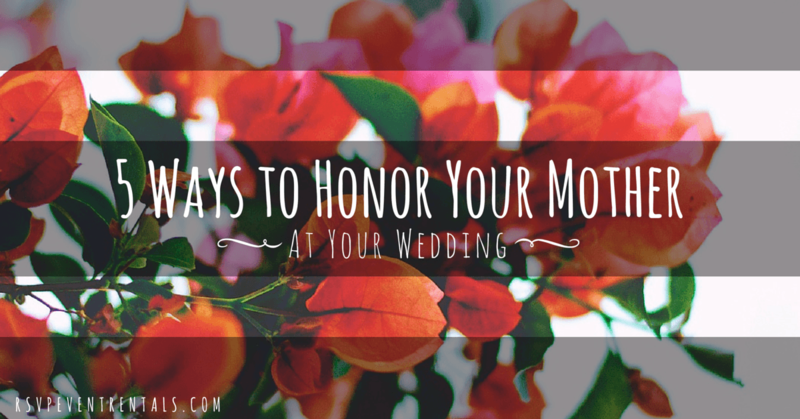 In honor of Mother’s Day, we’ve come up with five ways you can honor your mom on your big day. 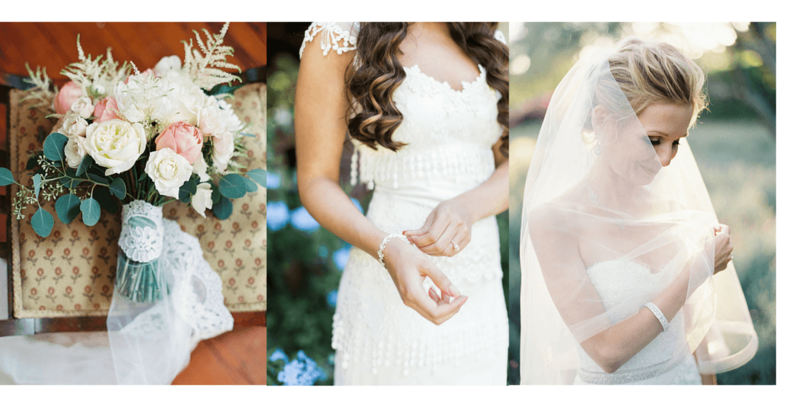 Capture sweet moments with your mom like putting your dress on, adjusting your veil or just sharing a few minutes together before walking down the aisle. These photos will be a gift that keeps on giving for years to come. 2. Give her a custom corsage. Mothers of the bride are traditionally given a corsage that coordinates with the bridesmaids’ bouquets. Change it up by giving your mom a custom corsage made of her favorite flowers that reflects her personality. This is a simple way to show her just how special she is to you. 3. Wear or carry something from her wedding day. 4. Give her a meaningful gift. Set some time aside prior to the ceremony to give your mom a special gift. Give her a framed photo from your bridal session, a custom handkerchief or a personalized clutch with a favorite photo as the lining. Not only will this be a gift she’ll cherish, you’ll be happy you set aside the time to thank her before the ceremony. 5. Include her in giving you away. More and more brides are having their moms walk them down the aisle. This is a modern twist on an old tradition and can be a great way to honor the leading lady in your life. She was there for every other moment of your life. Why not include her in this one?